We’re taking back the word because we know it means a system that is earth-friendly yet provides surplus for a farmer to feed family and community. 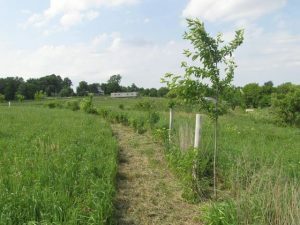 No one can predict technology and science decades from now, so while a conservation easement meant to last 200 years will contain the broad strokes of sustainability, farmers on SILT land will work with SILT to develop a land stewardship plan that utilizes the best knowledge and practices available at that time. Contact us if you’d like to be part of the conversation that defines what sustainable means.